Mexican Fiesta is a three day celebration of Mexican and Hispanic culture held on the third weekend of August at the Milwaukee Summerfest Grounds. 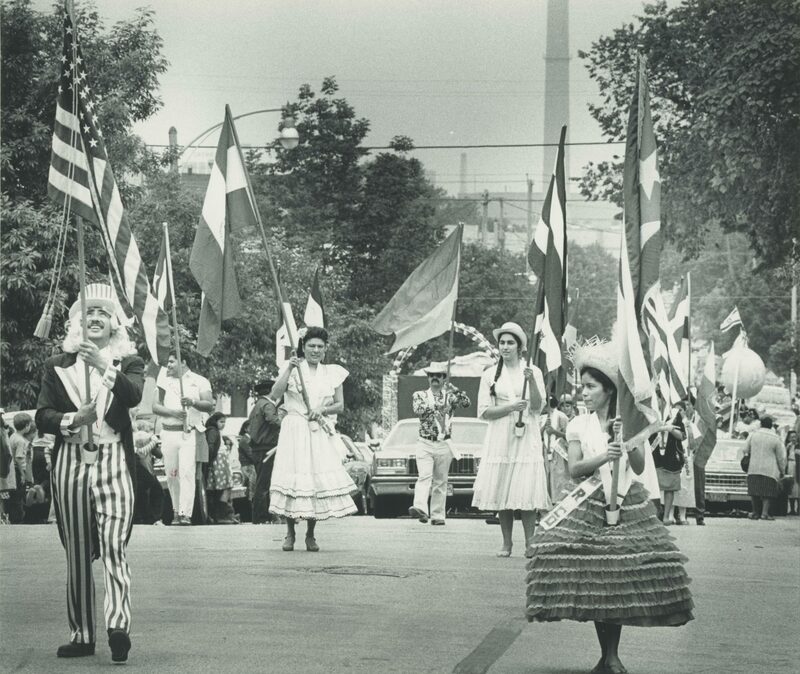 Mexican Fiesta was originally organized in 1973 by LULAC Council #9990 as a street festival to celebrate Mexican Independence and raise money for Latino students pursuing a college education. In 1977 the festival was invited by the Milwaukee World Festivals, Inc., to join the other ethnic festivals at the Henry Maier Festival Grounds. In 1987 LULAC Council #9990 was renamed the Wisconsin Hispanic Scholarship Foundations. Mexican Fiesta’s celebrations include two dance contests, one a Salsarengue featuring Merengue and Salsa dancing. The other dance contest features cumbias, polkas, and quebradita. Other contests include an El Grito contest (hollering contest), traditional Mexican costume contest, car show, and jalapeno eating contest. Also featured are a tequila tasting event, dancing, and traditional Mexican food. Mexican Fiesta works with representatives of the State of Jalisco, Mexico, in bringing artisans to display their art and crafts in the culture tent. Traditional folkloric dancers are also featured in the cultural stage. A children’s stage ensures there is entertainment for all ages. Aside from the entertainment aspect of the festival, Mexican Fiesta provides scholarship money for Latino students furthering their education by attending college. The Fiesta has raised over one million dollars for Latino students pursuing a college education. Mexican Fiesta has grown to become one of the largest paid-entrance Latino festival in the Midwest, and the largest in Wisconsin. ^ About the Wisconsin Scholarship Foundation, Mexican Fiesta, last accessed May 25, 2017. ^ Contests, Mexican Fiesta, last accessed May 25, 2017. ^ Cultural Pavilion, Mexican Fiesta, last accessed May 25, 2017. ^ Interview of Teresa Mercado, Executive Director of Mexican Fiesta by author in 2013.